Tibetan language and culture advocate, Tashi Wangchuk, has on 4 January 2018 been put on trial for separatist charges by China but no verdict has been proclaimed. 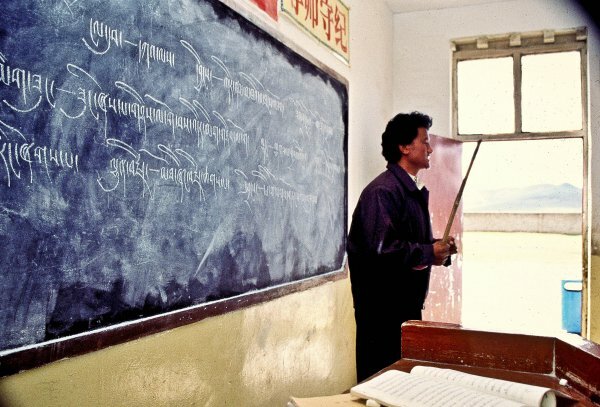 Wangchuk had been detained for two years after having given an interview to the New York Times on the Chinese government’s attempt at suppressing Tibetan culture and language by for example enforcing Chinese, rather than Tibetan, as the major language of instruction in schools. In his blog Wangchuk has advocated for bilingual education as granted by the Chinese constitution and greater cultural and linguistic autonomy for Tibet. International human rights organisations had advocated for the cause of Wangchuk pointing out that none of his publications can be related to separatism giving no basis for his detention or trial with the risk of a 15-year sentence. The fact that no verdict was given might be a result of the large amount of international pressure. China under renewed criticism as a Tibetan man who has campaigned for the preservation of Tibetan language and culture, entered the plea during a four-hour hearing in the Intermediate People's Court in Yulshul County of eastern Tibet. Tashi Wangchuk, 32, Thursday stood trial on charges of allegedly "inciting separatism" after his peaceful advocacy for Tibetan linguistic and cultural rights. Prosecutors play footage of interview with journalists as evidence in trial of Tashi. "A verdict would be handed down at a later date," his lawyer Liang Xiaojun said, adding: Prosecutors accused Tashi of "smearing China's ethnic policy and inciting to separate the nation". The trial ended with no verdict announced. But his lawyer said that a verdict would be handed down at a later date. According to a tweet from Tashi’s lawyer, translated from Mandarin, “The trial of Tashi Wangchuk for the crime of inciting separatism, which took 4 hours from 9:30 to 13:30. Tashi was taken away from his home Yulshul County (Ch: Yushu Tibetan Autonomous Prefecture, Qinghai province) by police in January 2016 soon after being interviewed by The New York Times. A Times' video of the interview – "A Tibetan's Journey for Justice" – was played as evidence during the hearing. In it, Tashi criticises the destruction of Tibetan culture and details his attempts in Beijing to sue Yushu government officials for sidelining Tibetan language in schools. "Within schools in Tibetan regions, from primary to secondary schools, most courses are taught in Chinese with Tibetan being taught as one single subject," Tashi says in the video. As an advocate for Tibetan culture, Tashi Wangchuk has maintained a blog writing about greater autonomy for Tibetans within China and has been vocal about language education. He has called for schools in Tibet to adopt a true system of bilingual education so that Tibetan children can become fluent in their mother language. None of his writings have called for Tibetan independence. He has also said that the dearth of effective Tibetan language education, and the fact that the language is not used in government offices, violates the Chinese Constitution, which guarantees cultural autonomy for Tibetan and other ethnic regions. President of the Central Tibetan Administration expressed his concern and urged Chinese authorities to uphold constitutional rights while pronouncing the sentence. "Tashi Wangchuk has on his own volition advocated for a constitutionally guaranteed right, that of bi-lingual education for Tibetans and ethnic minorities. His trial and sentencing will determine largely whether the Chinese Government is committed to upholding the internationally recognised laws and domestically accepted rule of law in China," President Dr Lobsang Sangay said on Thursday. The trial of Tibetan language advocate Tashi Wangchuk for "inciting separatism" is an outrageous attempt to treat peaceful advocacy for linguistic and cultural rights as a dangerous crime, PEN America, a group promoting free expression said Wednesday. "This is an attack on Tibetan language and cultural rights, which authorities have dressed up as an issue of national security. The idea that peaceful advocacy for Tibetan language rights somehow constitutes "separatism" is absurd and offensive," said Summer Lopez, Senior Director of Free Expression Programs at PEN America. "We call on the arresting authorities to drop all charges against Tashi Wangchuk, who has not committed any crime, immediately, and to release him from custody." Human Rights Watch and Amnesty International have both issued statements asking China for his immediate release. On 18 January 2017, Amnesty International revealed that he had been indicted, and his trial was expected shortly. But the trial would not come for nearly a year, finally occurring today, 4 January 2018. Tashi’s last known location was Yushu Detention Centre, Yushu City.